That’s been my life-long theme verse. I love the assurance that I didn’t start the process in me, and I’m not the one who’s going to finish it. It’s a beautiful promise that I claim for my kids, too. I can relax a little knowing that they are a work in progress and that the work WILL be completed in me and in them. Proverbs 19:20-21 tells us to Listen to counsel and accept discipline so we can be wise the rest of our days. Many plans are in our heart, But it’s the counsel of the LORD that will stand. I use that verse in a lot of things relating to the Scenarios series. I change diapers! I have 17-month old triplets…there are a LOT of diapers! I wish they’d slow down—they’re growing up so fast—but I do look forward to the days when I can get back on my bicycle and go for hours. My favorite ride is about 50+ miles up and down the Chicago lakefront. I’m an all-or-nothing kind of girl. In many things, that’s a helpful trait, but the inability to exercise moderation can also be limiting. If I can’t do it full out, I don’t do it at all. Sometimes that keeps me from trying new things or starting something I’m not sure I’ll be able to finish. It also means I’m hard on myself. I’m very driven and I don’t cut myself too many breaks. Which character in your new releases most interested you while you wrote? I really struggled over Kate’s choice in Making Waves. I felt the agony of her decision and could really understand why she’d have a tough time deciding. It’s very easy for a teen to vehemently say she’ll never take drugs of any kind. But in Kate’s situation—not that it made it okay to take drugs, it just presented a scenario that showed things aren’t always so cut and dried. Also, because of my own swim-team experiences, I knew what Kate felt when she dove into the water. Writing those scenes made me long for the pool. I even had dreams about being at swim practice. Tell us about the series these books are part of. 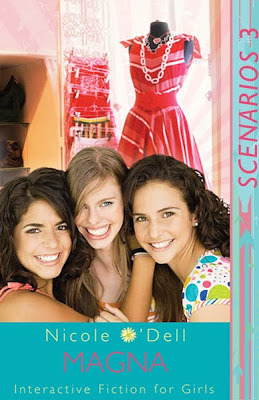 Magna and Making Waves are books three and four in the Scenarios for Girls interactive fiction series. In each book, the reader can test her decision-making abilities in an eye-opening, but safe way. Each book follows a character up to the point where she has to make an important, life-changing decision—then the reader gets to choose between two alternate endings. Most writers dislike this part, but I LOVE the revising and editing time right before a manuscript gets submitted. I’ve learned so much since my first books and that fine-tuning process allows me to tweak my words and apply the techniques I want to explore. Since I’ve been working on these books two at a time, I usually go back and forth between them, for a week at a time during editing. So far, I’ve pulled from my own experiences as a teen. Sometimes I could relate to the right choice, sometimes the wrong. None of them are exactly as they happened to me—so don’t jump to conclusions, Mom—but my own life has definitely influenced much of what I write. High Stakes and Essence of Lilly come out in the Spring of 2011. High Stakes deals with the issue of cheating in school, and the tough decision of confessing to a wrongdoing to clear a friend’s name. 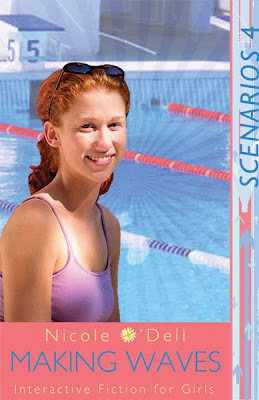 Essence of Lilly deals with physical intimacy among teens. 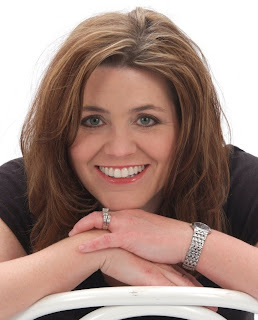 You'll also be able to find Nicole on Blog Talk Radio every Saturday morning at 11am CST, starting May 8th. The program will be archived and people can sign up for feed at www.blogtalkradio.com/nicoleodell. The first guest will be Jenny B. Jones. Nicole is giving away a copy of Magna and Making Waves. To be entered in the book giveaways, leave a comment and check back on Tuesday, May 4th to see if you've won. You can enter twice--once on each post in this spotlight. If you want to guarantee that you're notified if you win, then leave your email address in the comment, otherwise, you can just check back and email me through the button in my sidebar. Enjoyed the interview. Please enter me in the drawing. I'd love to win Magna and Making Waves. Thanks for a great interview and the chance to win! I love reading the author interviews, they offer a glimpse into their lives. All three of my kids are swimmers. I think they could really relate to the pressure to win. My older daughter worked very hard to come in last place in the 500 freestyle on a co-ed team. There were many times when she would be the only swimmer in the pool for up to 2 minutes. But it was incredible to see everyone in the area stand and cheer for her. I had many parents tell me her perseverance was better than anyone's natural.